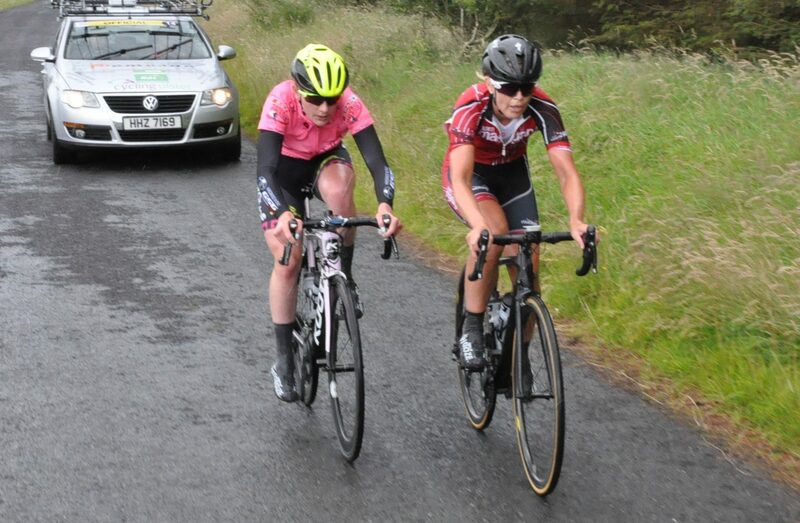 Alice Sharpe and Katharine Smyth proved to be a cut above the opposition at the Omagh Three Day at the weekend. When the going got toughest, the two women shone through. And yesterday’s concluding stage was no different. Sharpe (Phoenix CC) and Smyth (Team Madigan) went into the concluding 44 mile stage 1st and 2nd overall. And following some defensive riding by Phoenix CC, Sharpe’s leader’s pink jersey wasn’t threatened. On the final climb of the day she broke clear with Smyth. They would not be caught and had a gap of 46 seconds at the finish. At the line Sharpe took the stage win; her third from the four stages fought out over the three-day event. 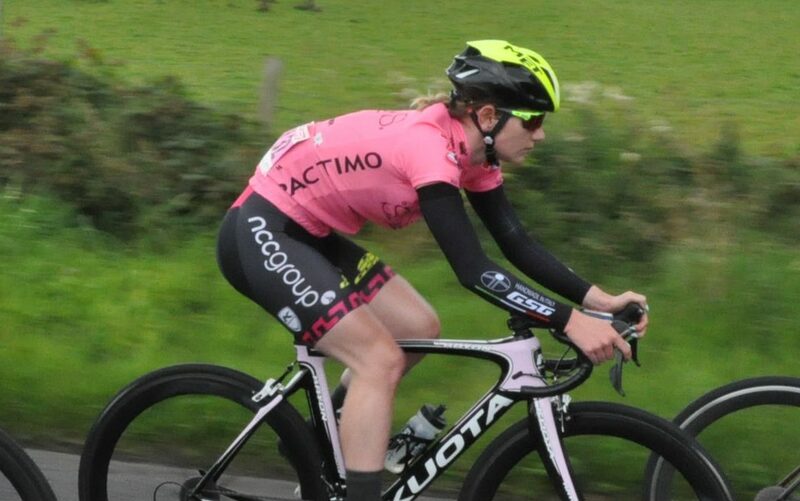 She took stage 1 last Friday evening in a sprint for a breakaway group. 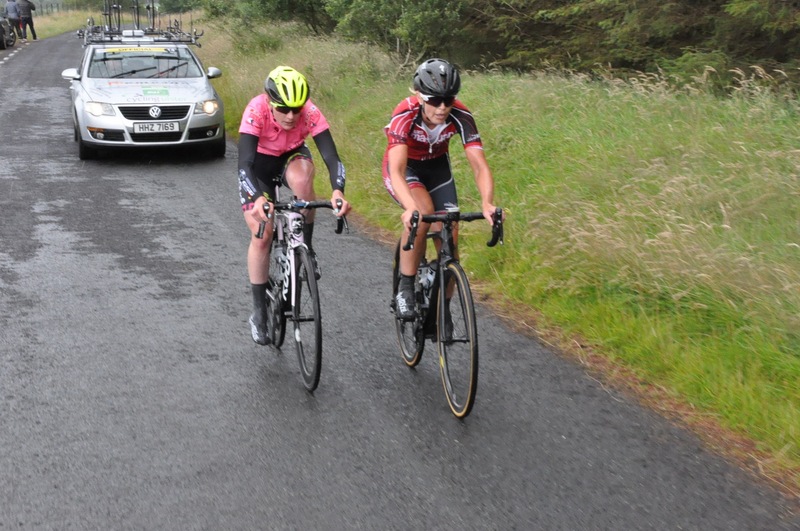 On that occasion her team mate Claire McIlwaine was 2nd, with Smyth 3rd, all on the same time. 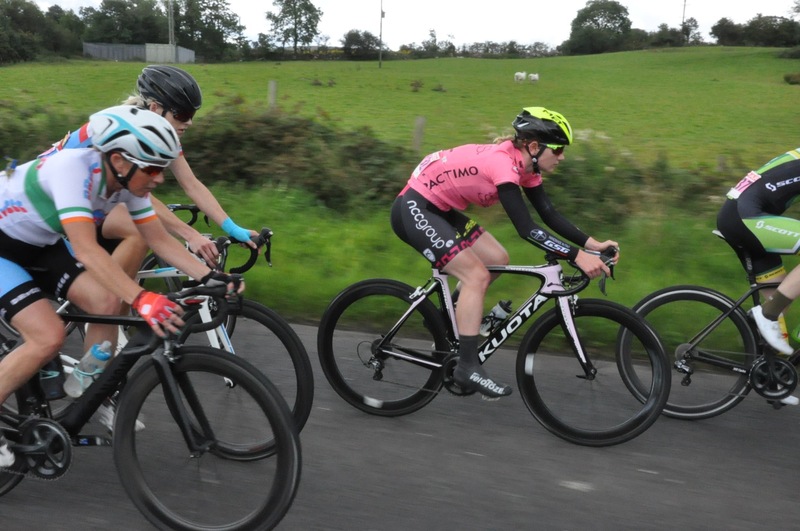 The following morning in the stage 2 TT McIlwaine was fastest, from Smyth and Sharpe. That put McIlwaine into the race lead. However, in the Saturday afternoon stage 3 a two-rider escape of Sharpe and Smyth won the day. They put 3:53 into the next rider home, Sinnead Oakes (De Ronde Van Cork). Sharpe won the stage with Smyth 2nd. And that scenario was repeated yesterday, albeit with small time gaps. In the end Sharpe took the overall victory by just 13 seconds from Smyth. McIlwaine rounded out the podium some 4:59 down.